I've lusted after a GTV since I was a kid. To my eye, that car is the prettiest design to ever flow from the pen of Giorgetto Giugiaro (done back in his Bertone days) and to my enthusiast's heart, possesses more soul than virtually anything else of its era. Having spent nearly a year with my '69 1750 GT Veloce, I still believe this is an apt description. The car after adding Panasports and installing shorter springs. Click the photo for a higher resolution picture or click here to see what she looked like when I bought her. When I first began looking for an Alfa to use as a combination track car and street toy, I set my sights on a '72-'74 Spider. Although I preferred the GTV, I thought having a convertible would be a lot of fun on those rare sunny days here in Seattle. Besides, asking prices for Spiders seemed a little lower, which meant I would have more budget left over for modifications. SIR is a beautiful venue with lots of elevation changes, some challenging turn combinations, and trees. Lots of trees. Lots of really big trees. Lots of really big trees sitting really close to the track. Somehow my innate ability to do something stupid at the wrong time seemed a bad combination with an open car and SIR. At this point, I began to rethink my plan to buy a Spider. The red car was gorgeous. The body work and paint were superb, but the interior was shot and the motor was an unknown commodity. Since I really was looking for more of a track sled, the white car seemed the better buy. 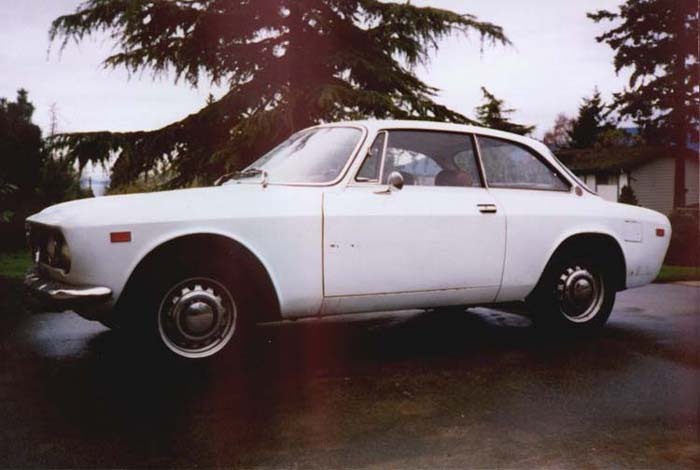 Although the body was marginal, the interior was in good shape and it had that LSD, rebuilt 2.0L engine and suspension. After driving the car, it became apparent that the rebuilt suspension may have been an exaggeration. Given that observation and the fact that the seller had no receipts proving that the engine had been rebuilt (he was relying on the word of the previous owner), we agreed on a marginally lower price and the car was mine. 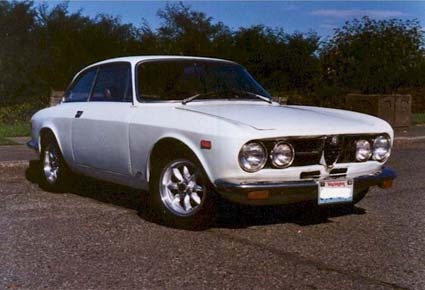 After purchasing the Alfa, three things became apparent: the suspension was shot, the motor burned oil like...well, like an Alfa Romeo in dire need of a rebuild, and I had paid about $1,500 too much for the car. I quickly took care of the suspension and hoped the motor would last until the next Fall. Unfortunately, a stuck throttle moved the rebuild schedule up by 6 months.